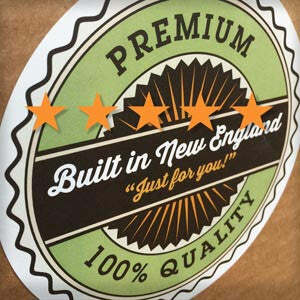 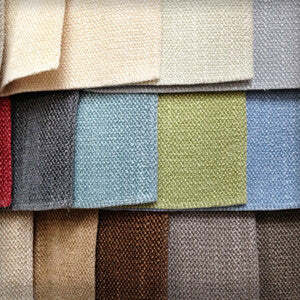 Home / Collections / Bulletin Boards / Bulletin Boards 42" x 32"
Bulletin Boards 42" x 32"
Our beautiful fabric bulletin boards are built from scratch right here in our New England workshop. 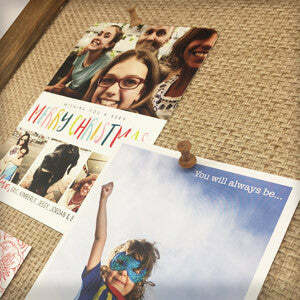 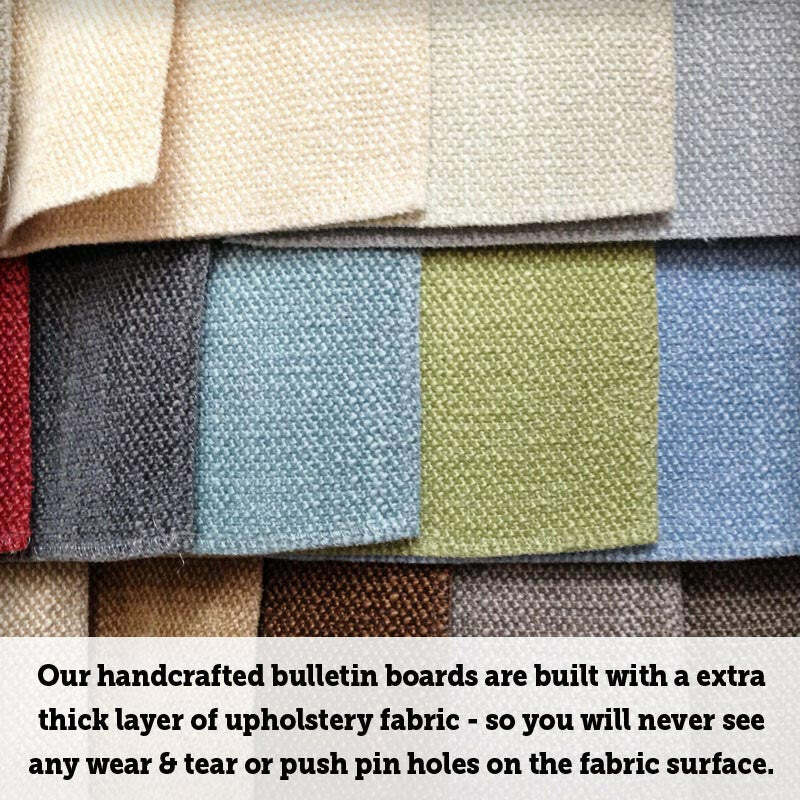 Every bulletin board is handcrafted with real wood moulding and gorgeous upholstery fabrics. 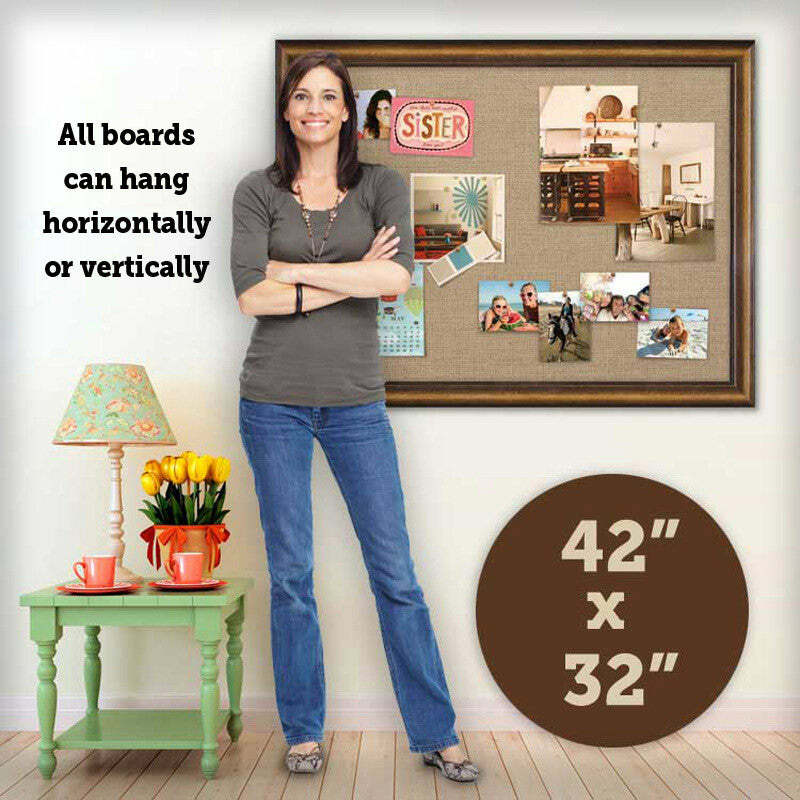 To view larger frame and fabric images with more detail click here. 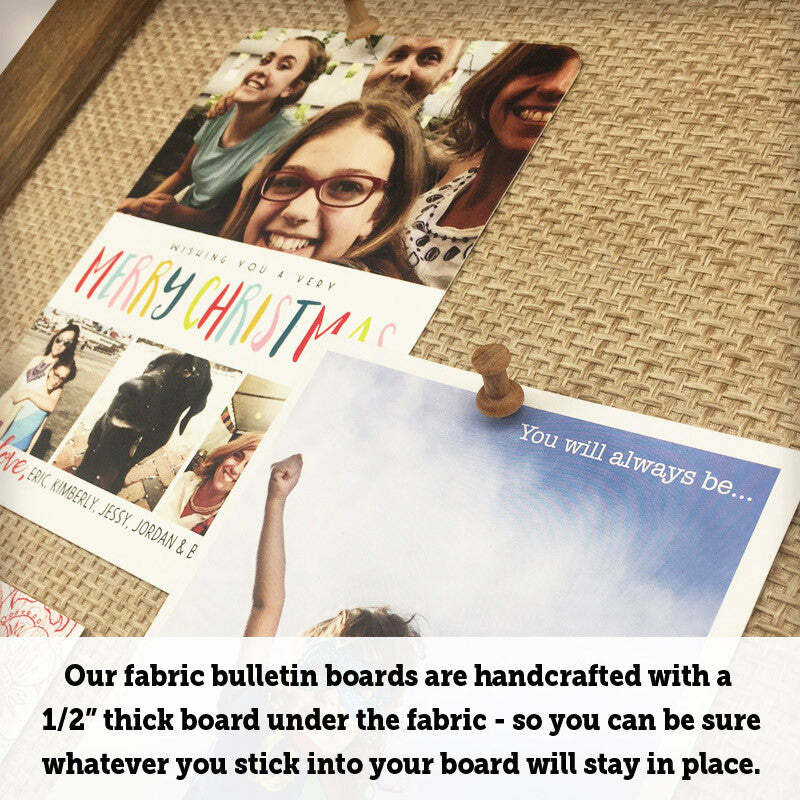 Our burlap covered bulletin boards are designed so the frame and fabric pair beautifully together - if you would prefer a different fabric, let us know in the ORDER NOTES box in checkout - to view our fabric collection click here. 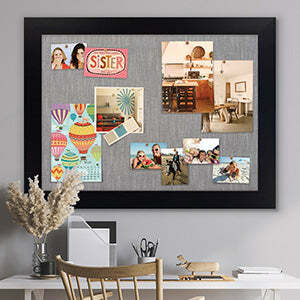 If you prefer a MAGNETIC bulletin board click here to view collection. 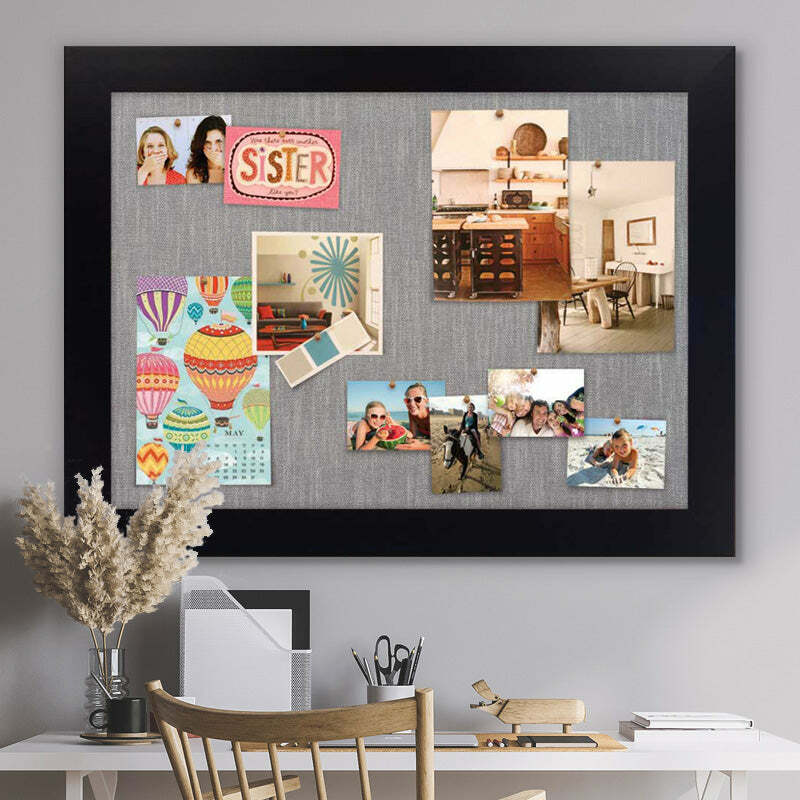 Use our bulletin boards as a stylish way to pin photos, artwork, school schedules, calendars or as a inspiration board to post creative ideas, pictures and inspirations! 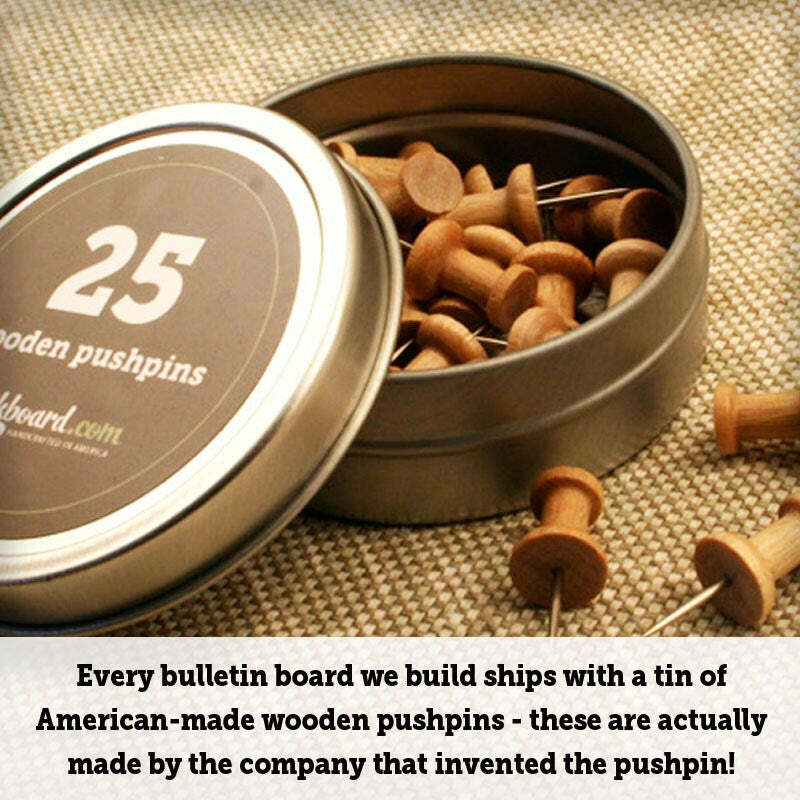 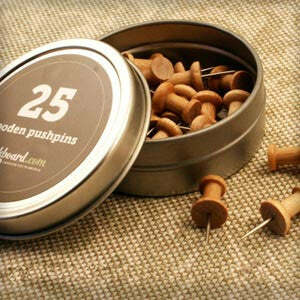 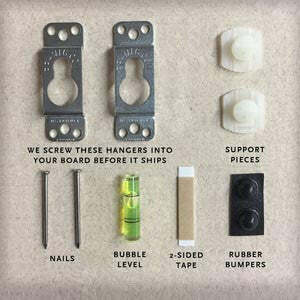 To make sure you can start enjoying your stylish bulletin board right away, every board ships with our easy to install hanging system and a tin of our awesome wooden pushpins. 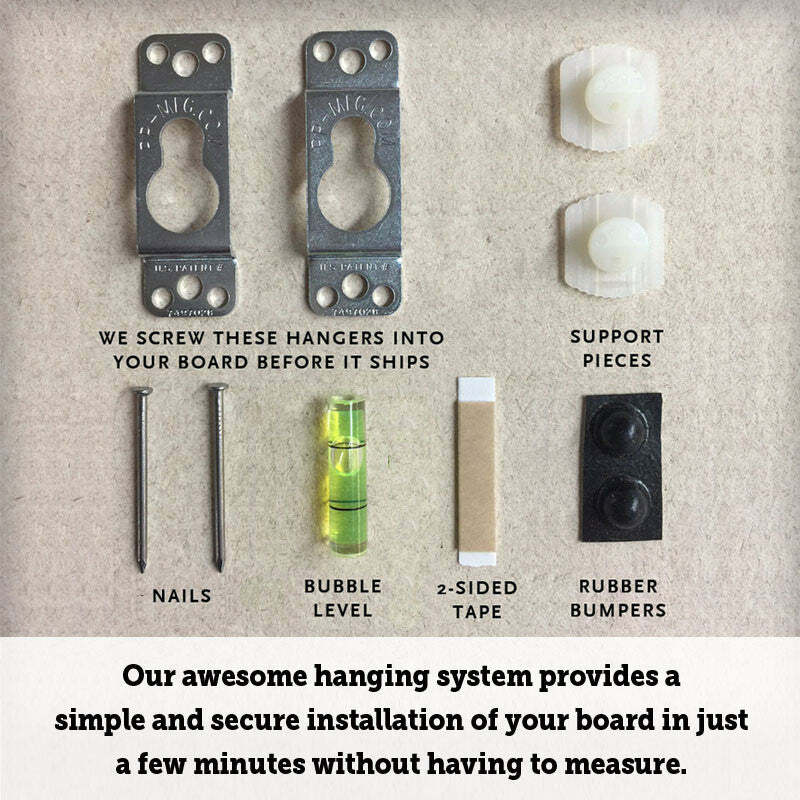 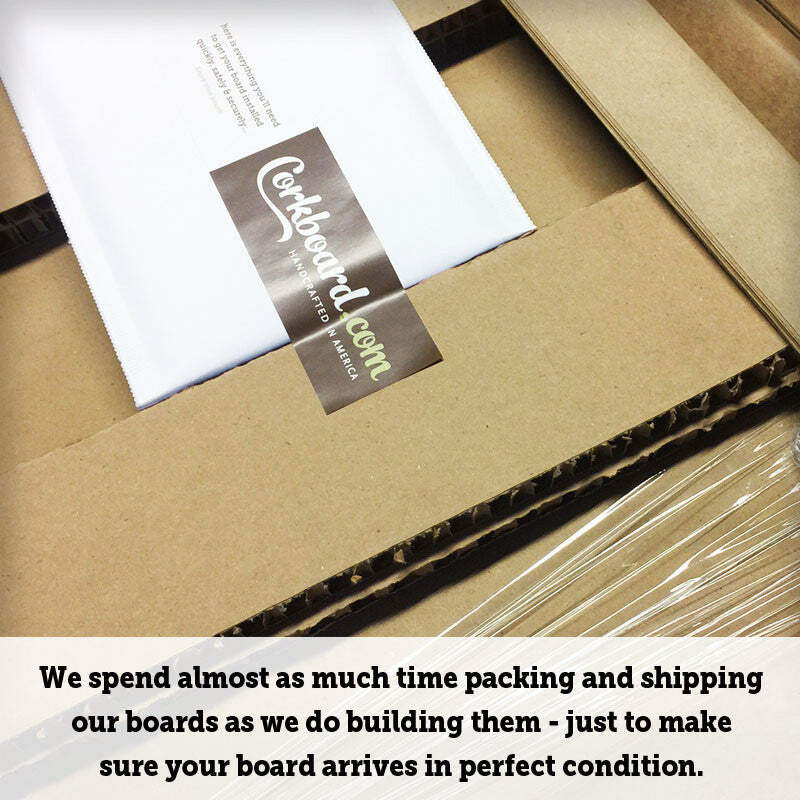 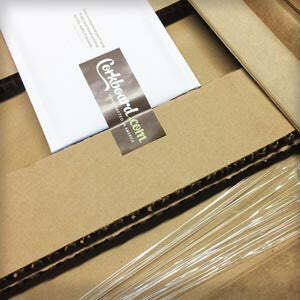 To see the details that go into our boards click here.